Stonebridge & Co offers a boutique agency that delivers so much more than the normal hard sell. We offer an integrated lifestyle service as well as a sales and lettings service with the mission to offer clients a one-stop shop solution when selling or renting their homes. We also cater for those who just want more out of their home, even if they are not looking to sell or rent. 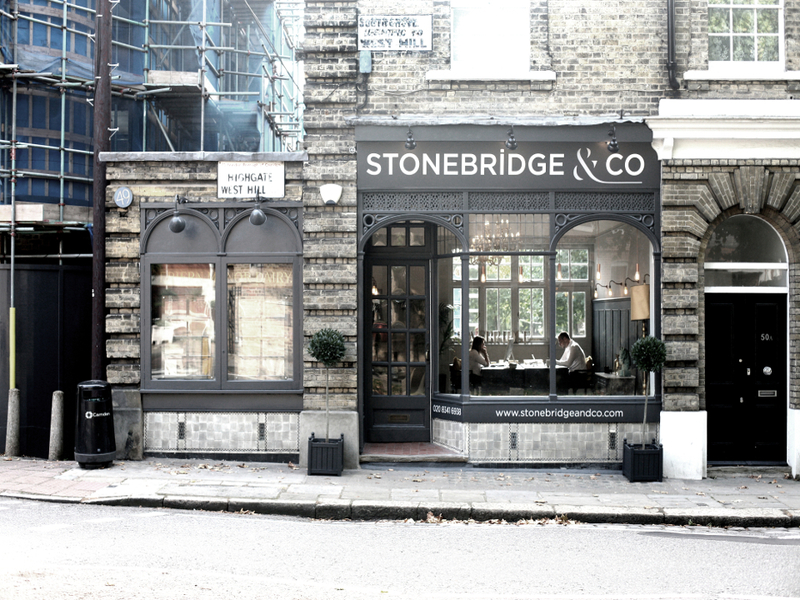 At Stonebridge & Co we offer clients a database of contacts at preferential rates in all trades; some of which include the most sought-after interior and landscape agencies. Whatever you need, we will source and deliver to you so you don't have to stress -we can even provide details of the best local takeout, down to childcare solutions! We are a company that goes the extra mile and only bring you the best of the best and companies who work to the highest of standards. Read more here. Our mission in the marketplace is to bring a twist of style to Highgate Village and to your home with our unique offering, rather than being your average high street estate agent. Along with this, we offer vendors a Bronze, Silver and Gold package designed to suit everyone's needs, view more details here. Our office at 49 Highgate West Hill doubles as a showroom, a place where clients can relax and observe first hand how a well put together room can make all the difference. New to Market!! Rent includes partial heating and hot water rates. Bright double studio apartment set within a period property located on a quiet tree lined street. Peter is originally from Wales and since he has lived all over the UK, studying an Environmental Science Degree in Manchester. Read more, or email: peter@stonebridgeandco.com. Claire spent a happy childhood with her family in leafy Muswell Hill, and later completed an English degree at Liverpool University. Read more, or email: claire@stonebridgeandco.com. "A cut above the rest. Claire was efficient and thoughtful throughout the sale and helped us achieve a great outcome for our family. I wouldn't hesitate to recommend her." "Fantastic Service - Really impressed with the support we received from the team. Managed with great empathy and professionalism. Many thanks." "We were very happy with Stonebridge selling our house. Both Claire and Peter were very responsive and helpful and made our sale as easy as it could be...We would highly recommend their services to anyone selling their property!" "As a landlord, I can highly recommend Joel and Stonebridge & Co. For a decade or so Joel let a property of mine always getting well referenced, professional tenants. The void periods were minimal and the rents achieved by Joel very competitive. I have dealt with many letting and estate agents over the years and I would say that Joel ranks amongst the best." "Very friendly and professional team - Lettings (Joel) and Sales (Peter, Claire & Kerry). Not your usual estate agent. Would definitely use them every time we want to get a property on the market. Top notch!" "A great experience all round! Everyone at Stonebridge was incredibly knowledgable and friendly. Joel who dealt with us was always on hand to answer questions and made our move painless. I highly recommend Stonebridge & Co."
"Used Peter James to help us with our property search. Fantastic personal service and a refreshing approach. Much better than dealing with a corporate. Id definitely recommend. Were so happy in our new home. Thanks, Stonebridge and Co."
"Could not recommend Stonebridge and co as an estate agent highly enough. Joel arranged for us to view a property that was a perfect fit for our requirements - after searching for about a month elsewhere, to immediately find the right property with Joel was impressive. Service has been efficient, accessible, knowledgeable and personal. Thanks again Joel." "Columbus Securities have been pleased that Stonebridge have been most successful in introducing candidates for both our Letting and our commercial property clients." "I was overwhelmed by the results and professionalism of Stonebridge & Co. Our family home was only on the market for ten days, and during that time we received such beautiful and personal service from Claire, Kerry, and Peter. To top it off we received four amazing offers. The icing on the cake though is efforts made by Claire, Kerry, and Peter to help us find the next property. Absolutely brilliant, a real pleasure to deal with  highly recommended!" "Peter James gave honest advice throughout, and never tried to over-egg the pudding. If all estate agents behaved like this, the profession would be far more popular than it is." "Highly experienced, very friendly and supportive, transparent, and utterly reliable. Their beautiful place in the village is so unlike the usual estate agents' it's a joy to walk in."